A curious thing happened this month. 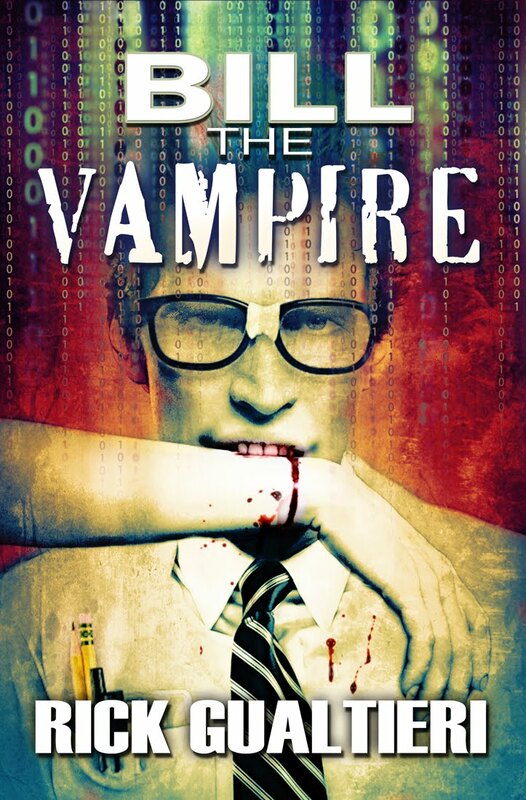 Out of nowhere one of my books, Bill The Vampire, started selling. Don’t get me wrong, it’s done OK in the past...a (semi) solid mid-lister on good days. However, it’s never done anything like this. I uploaded a new version earlier this month for a very minor fix (I noticed I had spelled Febreze wrong) and suddenly it started climbing the charts. Finally this week, the coup de grace: Bill’s rank climbed to the high four-thousands and it entered the top 100 selling list for one of Amazon’s major categories (fiction & literature / Humor). It didn’t stay there long. An hour or so later it dropped a bit in rank and that was the end of that. But you know what, that’s OK. I saw it (and sorta made sure others did as well). I know it’s real. For one brief moment I had a best seller. I felt like a minor leaguer who had been given one shot at bat during a major league game. It didn’t matter if I struck out or hit a homerun. What mattered was that for a few moments, I - a schlub from NJ with a hard to pronounce name - was able to stand alongside some of the titans of the industry. Now some might bemoan this; that it peeked its head up for barely a moment before ducking down again. For me, though, this is awesome beyond words because of what it represents: potential. Thanks to Amazon, which allows us the privilege of self-publishing to a mass audience, we - the unknowns who simply have a story to tell - have that fighting chance. Truth be told, I’ve at least partially believed this for a while now. As I put out more books and improve my craft, I’ve seen a modest increase in my rankings. Heck, even a handful of sales are more than I would have dared hope for just a few years ago. However, this month proves to me once and for all that while the ladder is steep, it isn’t impossible to climb. For you other authors, take heart. The deck is not stacked against you. Keep writing. Keep learning. Keep doing your best. Good things can happen when you least expect it. Will it last? Who knows? All I know is if I can climb the mountain once, it tells me I can quite possibly do it again. At least I hope I can. The view is pretty darn spectacular. (I won’t lie, the sales aren’t bad either. Let’s just say that I have my family’s Christmas fund now). Of course, none of that would be possible if not for the awesome people who are willing to take a risk on new authors. Thank you for giving me and others like me a chance to entertain you. As for myself: two things. First off, I’ll be getting back to work. I have plenty more stories in me and they all need to be told. Second will be ending the one little indulgence I’ve been giving myself this past week. Let’s just say that my family is starting to get annoyed that I’ve been arriving home in the evenings and saying, “Greetings wife and children of best selling author, Rick Gualtieri!” Pity that, but it’s for the best. Humility is a good thing...and getting the crap kicked out of me by them would just be embarrassing (if deserved ;-). AS a reader, I am grateful to Amazon, too. I have discovered some writers that would never have made to to my radar. Some of them are Very good. I love Bill, he and his friends make me laugh. So..... thanks :) Laughing is good ! Thanks for sharing, Rick. I just posted this week about being a bit bummed out about how things have gone for me in the two months I've had my debut up on Amazon. However, everyone has been very encouraging, and I feel so much better about it. Now, having seen how things have turned out for you, that encourages me all the more. Continued success! Hey Jimmy! Thanks for stopping by. I checked out your post. I feel your pain. All last year I was happy if I got one sale every other day. I personally think its all about the long haul. Keep writing, keep producing, and keep connecting with people. Most importantly, don't get discouraged. Celebrate *every* sale because each one is a step forward and a chance to delight a new person. Awesome! 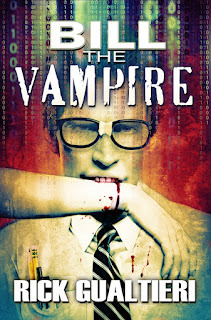 And not at all undeserved, because Bill the Vampire is a great book. Thanks, Carrie! I really appreciate that. I'll take credit for your success. I bought your book. I'm not a vampire stories person, so I purchased it as a gift; however, it looks interesting so I think I will also get one for myself before long. Where Janie leads, others follow. I can't help it. I'm like the pied piper leading away the children. Thank you so much! I'm really glad to hear you enjoyed them and that I could give you a few laughs.